Cold Case season seven, Without a Trace canceled? Cold Case: Renewed for Season Seven; Without a Trace Cancelled? Veteran crime dramas Cold Case and Without a Trace have been fighting for their lives. While both shows do alright in overall viewership and have more than enough episodes for syndication, they have become expensive to produce over the years. Their audiences also tend to skew older, an ongoing challenge for the Tiffany network. CBS has been looking to cut back on expenses so both of the Jerry Bruckheimer-produced dramas have been on the bubble for renewal. In seasons past, they’d both be considered pretty safe bets. Well now, CBS has now renewed Cold Case for season seven. No word as yet if the season order will be for 13 or 22 episodes. The renewal is commonly seen as bad news for Without a Trace since it was rumored that both shows were vying for the same timeslot on the schedule. 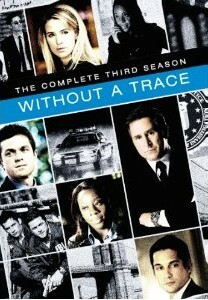 However, Without a Trace may still be kept alive with an order for episodes that would be aired midseason, or earlier if one of the network’s new dramas tanks. CBS will release its 2009-10 schedule on Wednesday at its upfront presentation in New York. cancel any or all of the “reality” TV shows they are nothing but crap, the dance sows as well s idol are fixed, how can you pick he bet when you can vote 1000 times it you have the tme and a sixth grade education. If you had to cancel them. Then you should bring all season out on DVD so I can watch them when I want to. they are not on tv as reruns like all the csi series. I can not believe Without A Trace has been cancelled and the reality shows are still being renewed. The next works are really going down hill in regards to morals. Please cancel any or all of the “reality” TV shows.